In most academic departments, chairs are elected—or at least recommended to the dean—through a vote of the faculty. At other institutions, the chair rotates among the entire full-time or tenured faculty, while at still others the upper administration appoints the chair either from among current members of the department or as the result of a national search. In cases where deans, provosts, or presidents are in a position to choose the chair of a department, what principles should guide them? Since chairs rarely receive advanced academic training in higher education administration, they often cannot be selected on the basis of their credentials. In many cases, administrators resort to choosing the senior member of a discipline or an area’s most prominent scholar. But neither longevity nor the aptitude for research provides a truly sound basis for judging a person’s likely ability to lead others effectively. Selecting the most accomplished or popular teacher can be doubly counterproductive since quality of instruction often does not correlate with successful management, and taking superb teachers out of the classroom for other responsibilities makes little sense. What factors should administrators consider when faced with this choice? What considerations should faculty members take into account when electing a colleague to lead them? At some colleges, the chair does not even have supervisory authority over the faculty members in his or her discipline, but merely coordinates such bureaucratic details as equipment purchases and the scheduling of courses. Some chairs serve as full-time administrators with a great deal of autonomy over the hiring and evaluation of faculty and staff, with assistant chairs, budget directors, and communication specialists to assist them in their duties. The responsibilities that the chairs are assigned at your institution will guide you in identifying the sets of skills you need to have in your chairs. At a school where budgeting and scheduling are the primary responsibilities of department chairs, it is important to find someone who is consistently accurate with even minor details and who possesses the sort of diplomatic skills that will be necessary when negotiation is required or requests cannot be accommodated. At a college or university where the chair is expected to lead the department in curricular reform, it can be essential to find someone who is aware of best practices in the discipline, remains actively involved in professional associations, and keeps in touch with colleagues at other institutions. If the chair is expected to play a leading role in securing funding, then it may be preferable to seek a faculty member who has significant grant experience, understands the legislative process, and feels comfortable seeking external support. By examining very carefully what the chair will actually be doing in his or her particular department it is often possible to generate a list of desirable traits that is clear enough to guide you in the selection process. Too frequently chairs are selected, particularly when the choice is left to upper administrators, because they can “make the tough decisions” and “handle the pressure.” But departmental leadership is not simply about being decisive or thriving in the midst of numerous challenges. Faculty members do not “report” to department chairs in the same way that employees in the corporate or retail world report to their managers. While all faculties develop their own hierarchies, the academic ideal continues to be a cooperative endeavor that largely involves equals. After all, “shared governance” does not entail merely a division of authority among the administration and the faculty; it also refers to the way in which responsibilities are allocated among the various members of each academic unit. For this reason, a great number of the department chair’s responsibilities require that person to be persuasive rather than authoritarian, achieve consensus rather than issue directives, and find compromise rather than resort to being dogmatic. While some department chairs evaluate the faculty members in their areas, they are rarely anyone’s “boss” in the same way that managers are in commercial settings. For this reason, a chair who can motivate others and cause things to happen without micromanaging or demanding that things happen is likely to be an excellent administrator. Not only does the chair need to function well with the other members of his or her unit, there are other chairs with whom he or she will need to interact, including committee members with whom the chair must serve and you as the chair’s supervisor or colleague. These considerations can become an important factor in your selection of a chair. For instance, if you have a choice between two candidates who are balanced in some ways, but one tends to be more global in approach while the other is more effective handling minor details, your choice may depend on who will be working alongside the new chair. A chair’s counsel or curriculum committee that consists solely of visionaries may not be particularly successful at routine tasks, while a similar group composed largely of nitpickers may never be capable of seeing the big picture. If you’re a dean or provost, it also may be important to select a chair who is strong in precisely those areas where you have the greatest challenges. An academic unit within a college or university is a very complex structure and no one set of talents will solve every problem or take advantage of every opportunity. 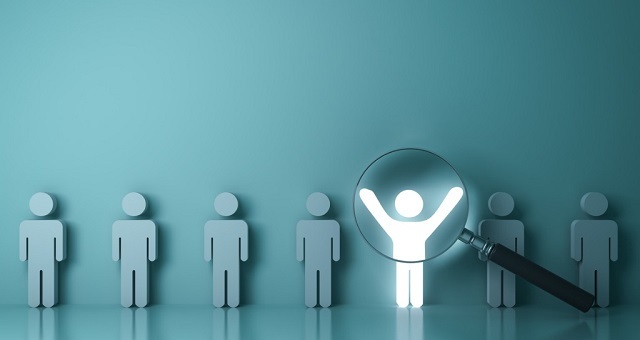 If you find, for instance, that you tend to prefer working behind the scenes and feel uncomfortable in large social settings or asking prospects for donations, selecting department chairs who can complement the skills you have can provide your area with strengths that it would otherwise lack. Selecting an appropriate department chair is rarely a matter of finding a specific type of person or Myers-Briggs profile who can provide the type of leadership necessary in every environment and at all times. Your choice will vary according to the needs of the unit, its likely next stage of development, the role that chairs play at your institution, and the other chairs who are already in place. A chair who is likely to be the best possible choice in one situation may end up being not the best option when different problems or needs arise. Reprinted from “How to Select a Department Chair” in Academic Leader 25.2(2009)1,2 © Magna Publications. All rights reserved.